The Dreamcast has four controller ports. I can think of no more perfect use for them than these four custom controllers. 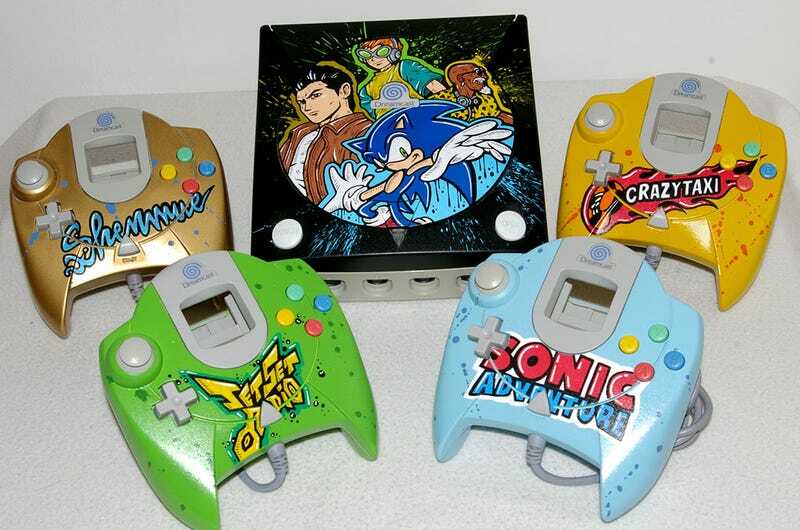 Painted by Oskunk, they sit alongside a custom Dreamcast console, which is nice enough, but man, I would walk over fire for that JetSet controller.